The best thing about Cream of Wheat porridge is the fruity jam or fruit preserve that goes with it. It's like a prize sitting right in the middle of a white sea of textured cream. Back in the day, cream of wheat was more expensive than other porridge ingredients so it was usually a weekend treat. It's much more affordable these days and this recipe is remarkably easy as well so you can enjoy it any day of the week. A Latin American version adds chopped fruit, such as bananas, berries or mangoes. Add the water and the cinnamon stick to a saucepan. Cover the pot and bring the water to a boil. 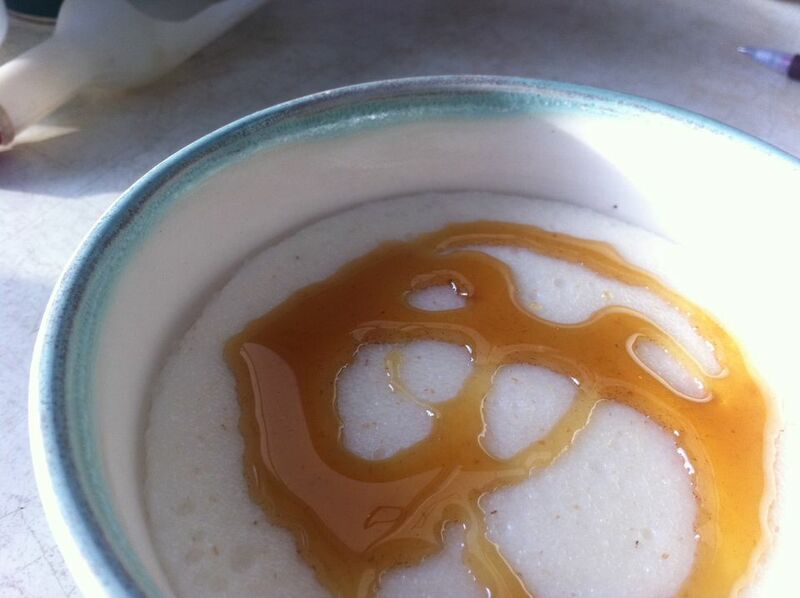 Add the Cream of Wheat when the water boils, using a whisk to stir it well so there are no lumps. Reduce the heat to low and simmer uncovered for 2 to 2 1/2 minutes until the Cream of Wheat has thickened. Remove from the heat and discard the cinnamon stick. Sweeten with sugar and milk, stirring until everything is fully incorporated. Cream of Wheat is a cereal similar to farina. Both are made from wheat germ, but Cream of Wheat is ground more finely so it tends to be lighter and smoother. If you can't lay your hands on Cream of Wheat or if you just prefer farina instead, you can make this recipe using that instead. Farina has more calories, more carbohydrates and less fiber than Cream of Wheat. If you're using milk rather than water in this recipe, don't boil it. Just bring the milk to a simmer. You're not limited to a cinnamon stick for flavoring. Sprinkle the finished cereal with brown sugar or add a dollop of molasses or maple syrup to the bowl before serving. Some recipes call for a little nutmeg or a spoonful of canned pumpkin. The possibilities are endless - this is a porridge that goes well with almost anything. Also, if you're looking to add some fruit to this porridge, a Latin American version adds chopped fruit, such as bananas, berries or mangoes. Just customize to your liking. Cream of Wheat is actually a brand name, not a food in and of itself. It was created by Thomas S. Amidon and introduced at the 1893 World’s Columbian Exposition in Chicago. It was just a little something that Amidon had whipped up for his family, but he shared it with his employer, a North Dakota company called Diamond Mills when the company was suffering serious financial difficulty. Diamond Mills then began producing it. The company was down to its last dime, so Amidon had to package the Cream of Wheat himself, using pieces of old cardboard and scrap wood for shipping boxes.